Twilight Beauty is having a 50% OFF SALE now until February 29! 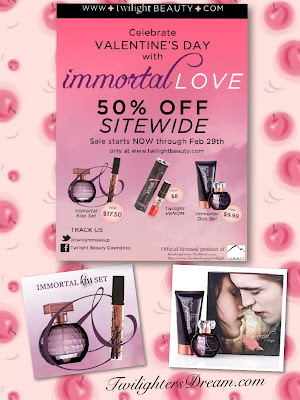 Everything is on sale even the new Immortal Perfume which smells awesome!!! Read more about the Immortal Perfume in my blog.